This post will be a small step by step implementation of Market Basket Analysis using Apriori Algorithm using R for better understanding of the implementation with R using a small dataset. This will also help to give detailed understanding of how simply we can use R for such purposes. I’ve made the data from the foodmart dataset into this transaction set using the combination of the Time_Id and Customer_Id composite key. This will be a unique transaction Id which has been created as Trans_ID and incorporated Product name for easier understanding with the table name POS_Transcations. I have exported the data from this table as RetailFoodMartData.csv. This has 86829 records. For the sake of simplicity and quick understanding I have copied few data in transactions limited the number of rows to 105 and reexecuted the whole with RetailFoodMartDataTest.csv. The final result shown will be the output of RetailFoodMartDataTest.csv. Hope this would suffice for this exercise. I’m using R version 3.0.1 for the analysis. Step 1: Import Excel to the R environment. If you would like to know how to import, please refer to my blog post here. Step 2: Please find the outcomes of the import steps and summary using R and you can find the top 5 records using head. “Mining frequent item sets and association rules is a popular and well researched method for discovering interesting relations between variables in large databases.” As the next step we would need to load the arules library to the RConsole. Step 4: When you try to invoke the arules library packages if doesn’t exist it will show a error as shown in the picture, now you can install the package and load the library. Step 5: Now we need to use the aggregate which has been done using split method. We need to coerce the transaction for the purpose of Apriori algorithm to process the data we will do it as per the following: Txns<-as(AggPosData,”transactions”). This is being done with data which is aggregated in Step 3. 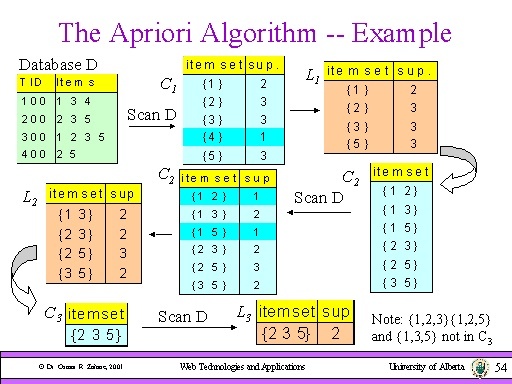 In this example the summary provides the summary of the transactions as itemMatrix, this will be the input to the Apriori algorithm. In this example Atomic Bubble Gum with 6 occurrences. In the above obtained results it gives an understanding that if a customer buys Just Right Canned Yams there is 100% possibility that he might by Atomic Bubble Gum, similarly if a customer purchase CDR Hot Chocolate there is a possibility for him to buy either "Just Right Large Canned Shrimp" or "Atomic Bubble Gum". Confidence refers to the likelihood of the purchase and Support refers to the % of involvement in the transactions. Though this is considered to be “Poor man recommendation engine” it’s a very useful one. In my next post we will continue to analyze how we can do this kind of analysis on large volume of data. My harddisk has crashed. Will check and see if I can provide you the dataset. Can I get a copy of the dataset? If you are using linux you can download the mysql script and import to mysql database server wget http://analytical-labs.com/downloads/saiku-server-foodmart-2.4.tar.gz. Hope that would help. thank you, I would like to know if you have worked on CHAID analysis. I have not worked on it, but I have worked on Decision Trees. If you could let me know where you need help, I will let you know If I can help. I do not have sql, can you please provide sample dataset (1000-2000 rows) in the .xls or .csv format. It will be very usefull to refer it to your excellent work. Thanks in advance. Can I have the csv file please? hy pls i am working on association rules but i am trying to use statisca software, i dont knw whether you know anything bout it. also i am wondering whether the dump you provided contains the data. Please look at the URL in the comments which has the data. Vishnu, may be there could be some trivial issue with the dataset can you check again. Can it be done directly in Mysql, as a complex query? here => http://blog.mobocracy.net/2005/06/market-basket-analysis-in-nutshell.html this guy made something interesting, but it actually dont show us the association probabilites, it show how many times ‘product x was brought with product y’. Can u please share the code for applying these rules on another dataset?